Today’s guest blogger is Carly Rosey. Carly is a recent graduate (less than a week ago!) from Bethany College with a degree in music. Day 2 has proved that we can handle jet lag. 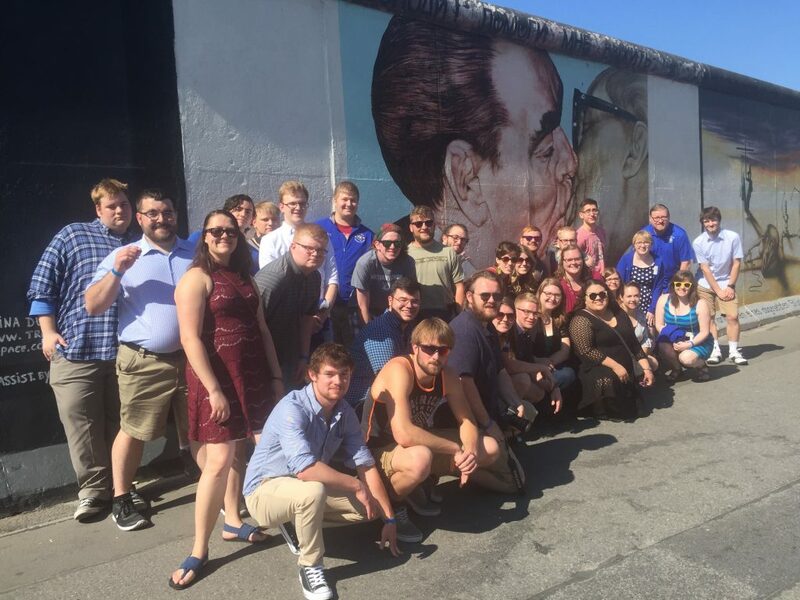 The day started out with an amazing breakfast provided by our hostel followed by a trip to the “other side” of the Berlin Wall. This side of the wall held many murals by artists from all over the world. Most of these murals were about the freedom, isolation, or captivity felt by those in East Berlin. It was neat to see this form of art in Berlin because we only saw graffiti up to that point. After our trip to the Berlin Wall East Side Gallery, we got on a bus and headed to the quaint town of Halle. Halle was a completely different feel from Berlin because it was less busy and loud. Halle is Handel’s birthplace, so it was only right to visit his home. 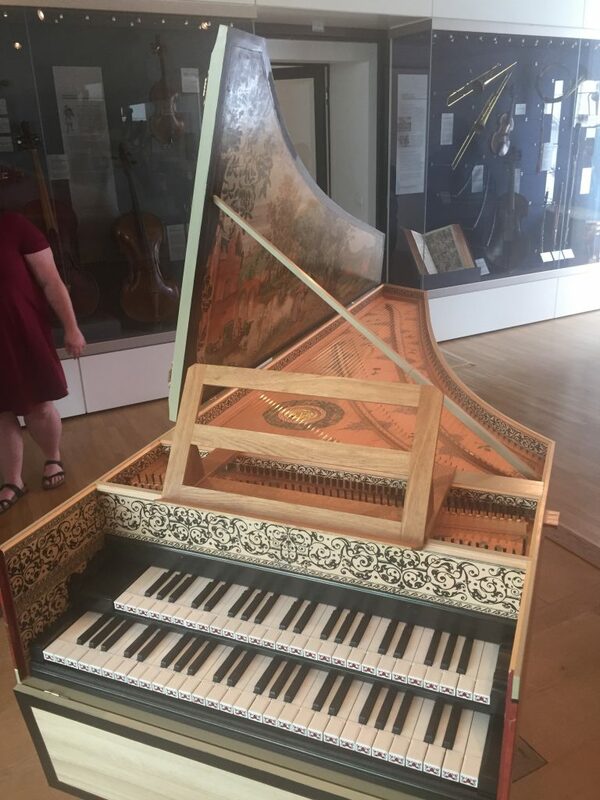 Here, we got to see the many instruments of the ensembles Handel wrote for as well as the music he wrote in his own handwriting. I played two of his harpsichords and watched a few videos about his writing of operas. It was nice to learn more of the history of the composer who is important to the founding of Bethany College because of an oratorio he wrote in his early life. 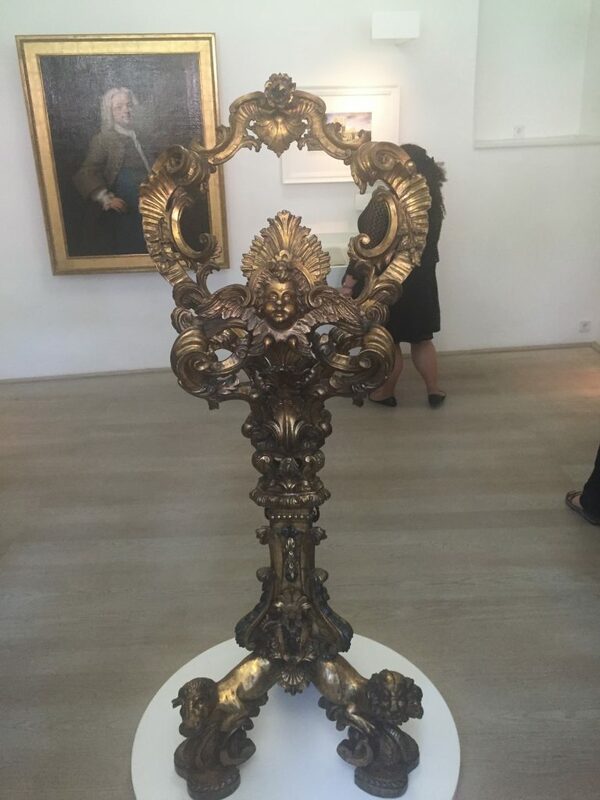 A music stand from Handel’s era. 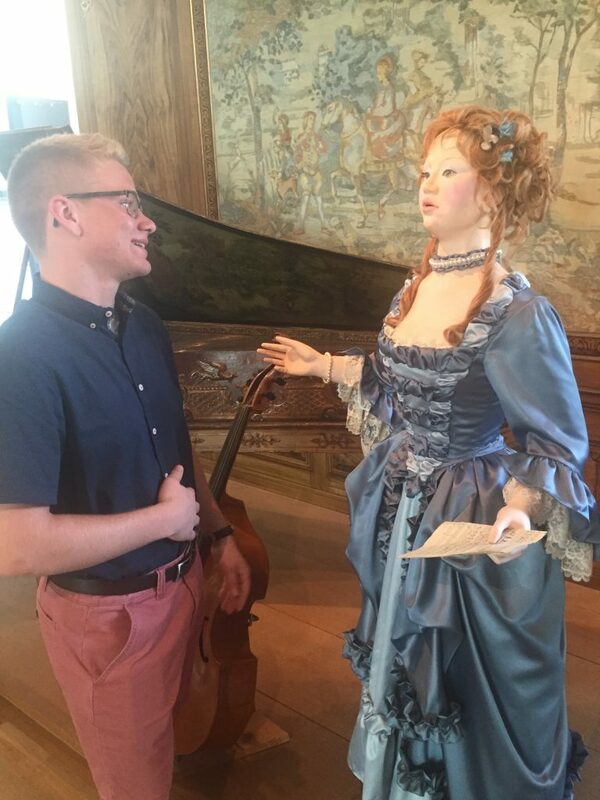 Noah Lackey, trying to get to know a baroque soprano. 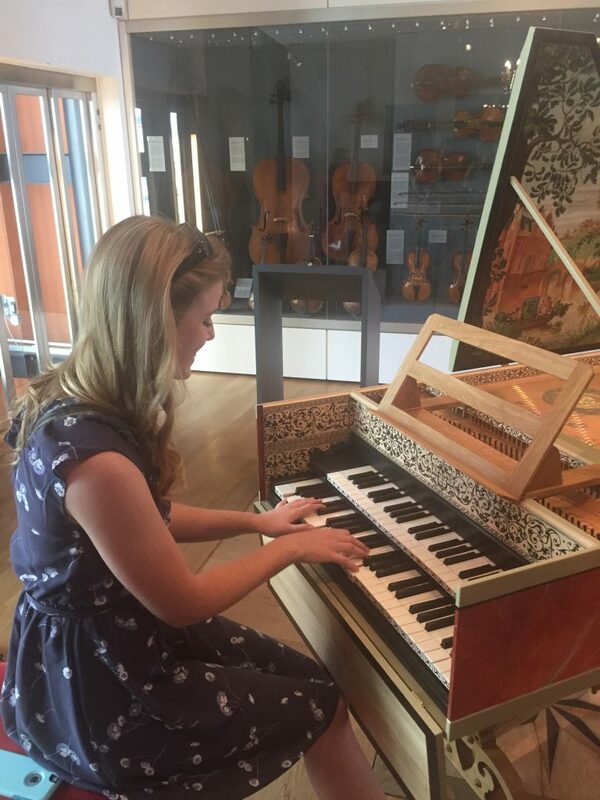 Meagan De Vore playing harpsichord. The choir ended the day in Leipzig, where we went on a music walking tour. 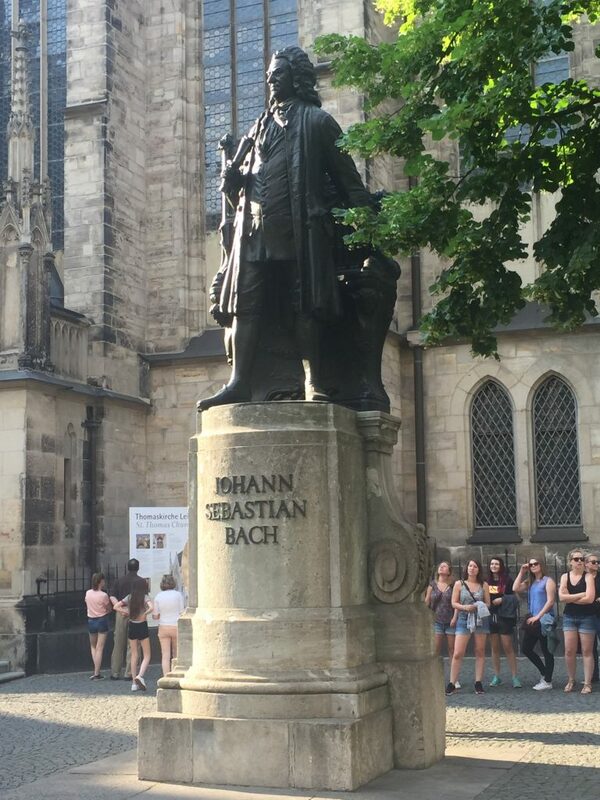 On this tour, we learned more about the composers Bach, Wagner, the Schumanns, and Mendelssohn. All of them were tied to Leipzig and are tied together in one way or another. This led to discussions of historical events, conservatories, choirs, and churches of Germany. The tour was very informative, but our guide also made sure to tell us about the more popular hangouts and unique places of Leipzig. The iconic statue of J.S. Bach just outside the Thomaskirche, where we will sing tomorrow. 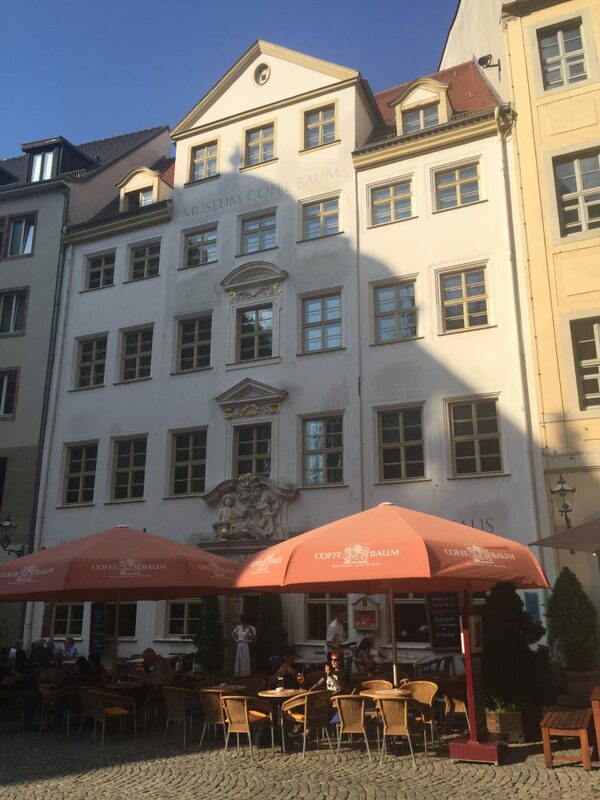 A cafe made famous by composer Robert Schumann in his writings. 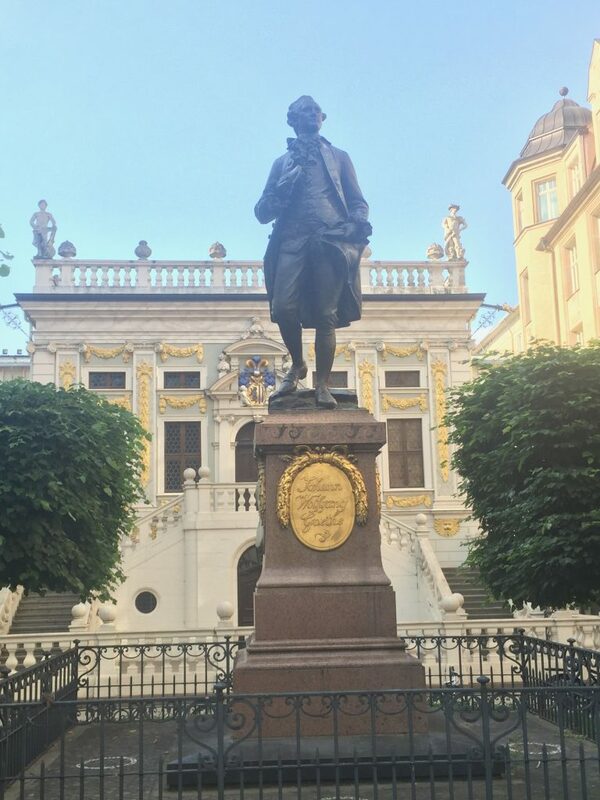 Goethe, author of “Faust,” was a resident of Leipzig! 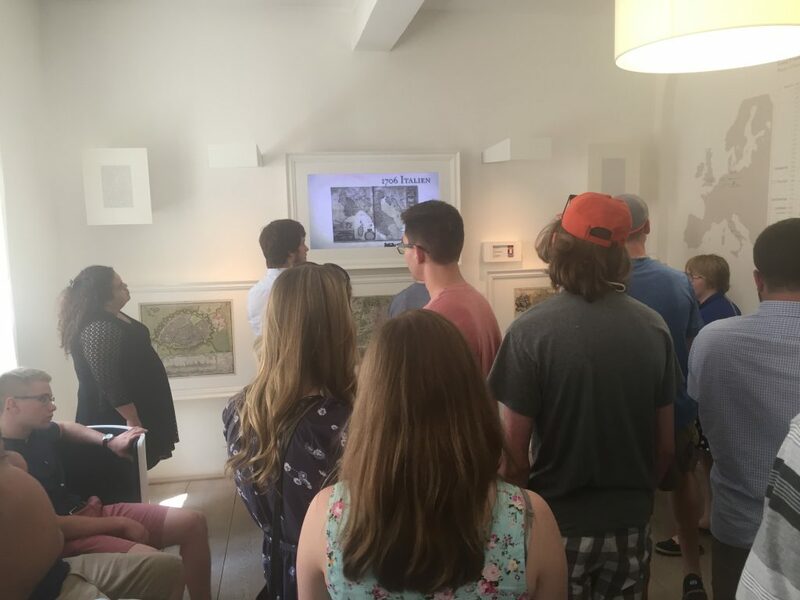 So far, we have seen many exciting parts of Germany and have been able to see the various kinds of fine arts that have had major influences on this region. 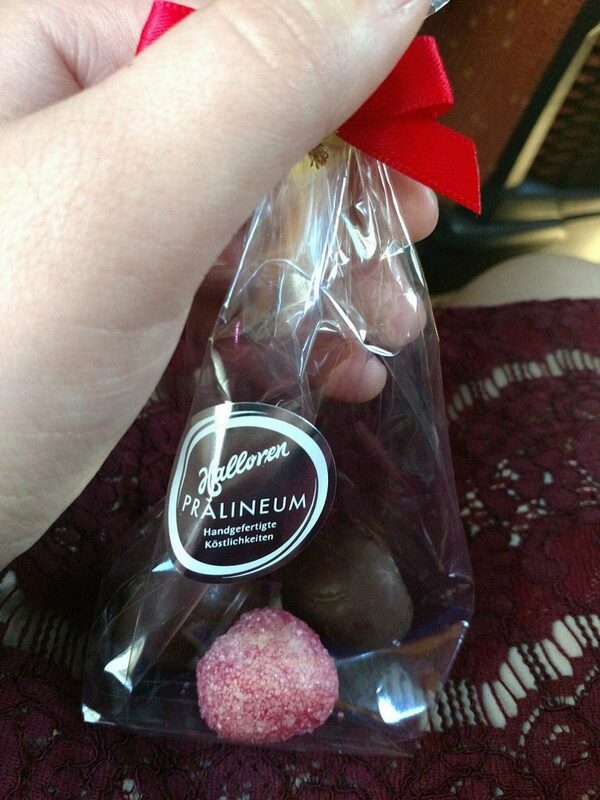 I have gotten to try a lot of German food thanks to the hostels we’ve stayed at, and I even got to enjoy the experience of ordering handmade chocolates in a cute German shop. 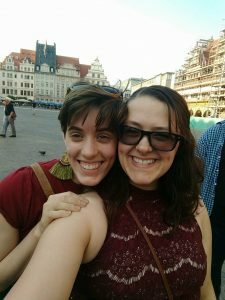 I’m excited to see what other adventures Germany has for us! A note from Dr. Lucas. . . Thank you, Carly, for blogging about your day. I’ve described tomorrow to the students as a “work day” because we have opportunities to sing at two iconic Lutheran churches. In the morning at 10 am (or 3 am in Kansas) we will sing as part of worship at the “Castle Church” in Lutherstadt Wittenberg. This is the church at which Martin Luther is thought to have nailed the 95 Theses to the door and began the path toward Protestantism. 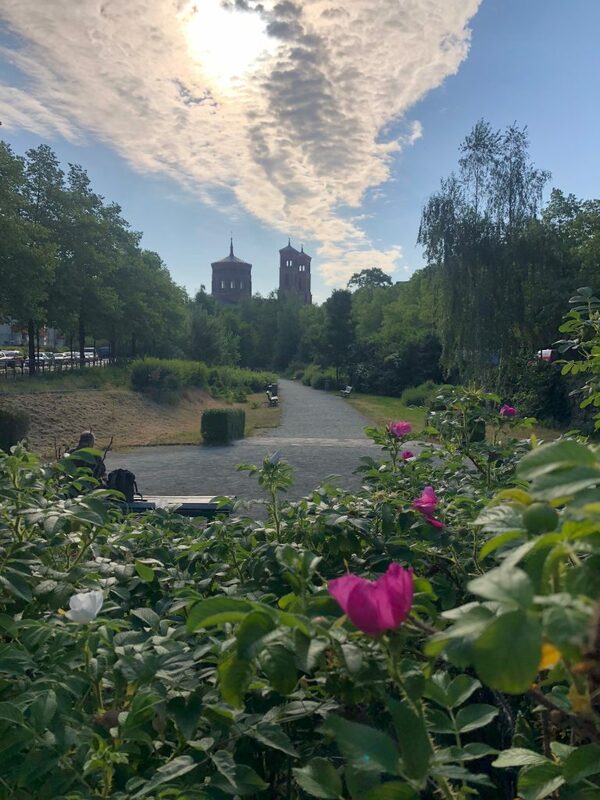 After touring Luther’s home we will hurry back to Leipzig to sing as part of evening worship at the Thomaskirche, where Bach worked from 1723-1750. Even though I describe it as “work” it’s going to be a lot of fun! P.S. 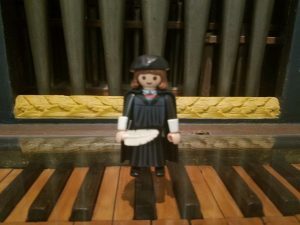 Today mini-Luther was found on one of the keyboards at Handel’s home in Halle. That guy gets around. Where will he be tomorrow? Any requests? I’ll pass them along to Martin’s buddy, Christian Cooper. P.S.S. For more photos from today, go to the drop down menu and select “pictures” or click HERE.